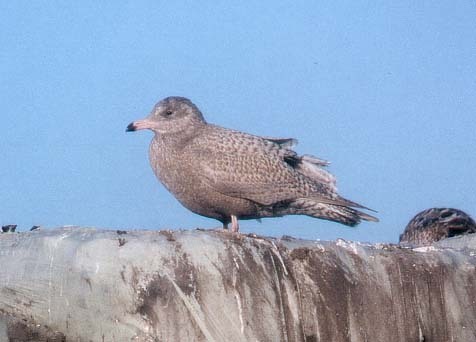 This rather dark 1st winter Glaucous Gull was present on the VAM rubbish dump near Wijster, the Netherlands on 5 January 2002. 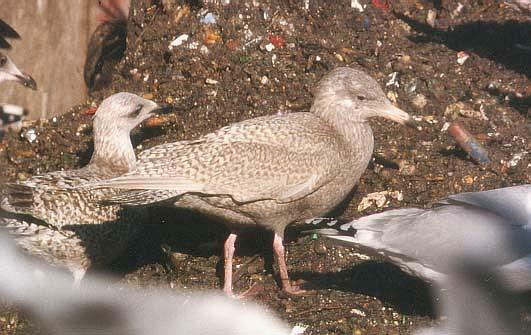 On the same day a 2nd winter bird was present, which can be viewed here. 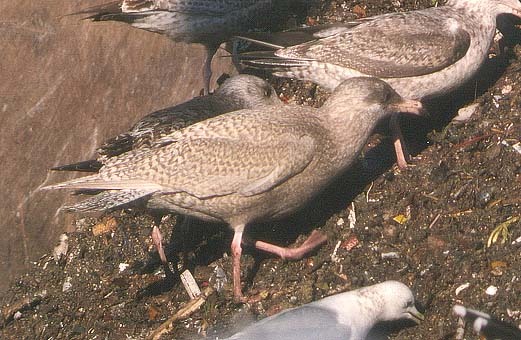 The rather bold markings on the tail and primaries at first caused a bit of confusion but these are not unusual for a dark GG. 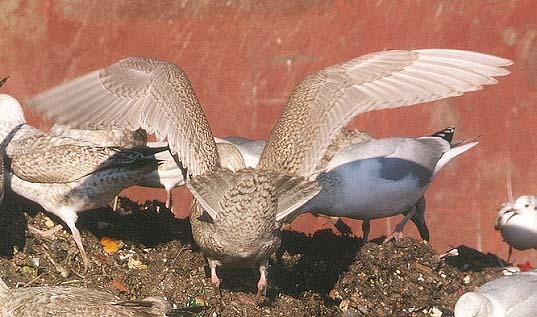 The tips of the primaries and secondaries show a fine double chevron typical for this species.